Located between La Bodega mini market and the ocean in Nosara, El Chivo Cantina offers breakfast, lunch, and dinner at affordable prices. Its delicious dishes—genuine American cuisine—are the main reason for the travelers to visit the spot. If you are in the area looking to enjoy well-prepared dishes, this is the best bar for you. Given its popularity in the area, you need to make a reservation prior to your visit. 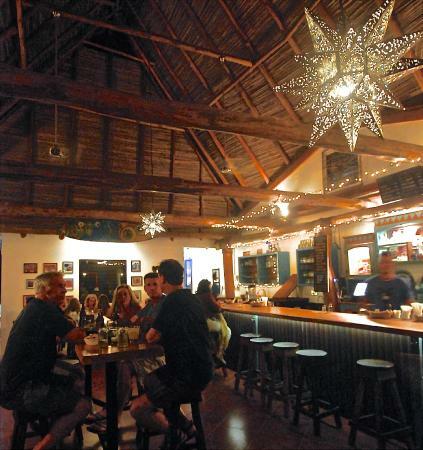 Located near the beach, Il Pepperone is an amazing restaurant offering European cuisine in Nosara, Costa Rica. It caters for break, lunch, and dinner. Though there are some restaurants offering the same cuisine, the Il Pepperone beats them all. If you are a European visiting this area, this is the right spot for you. KayaSol Restaurant is a renowned bar situated in Nosara. 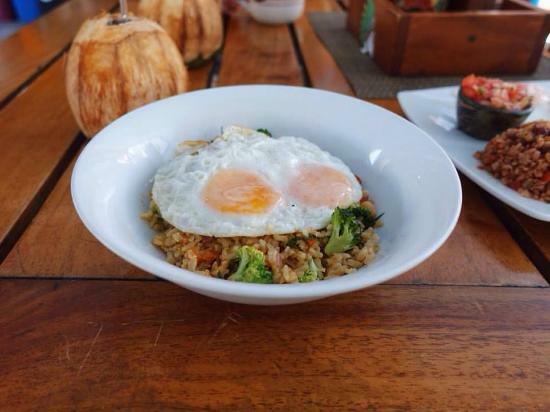 It caters for breakfast, lunch, and dinner; its flavorful dishes are suitable for every taste. Since it’s a famous spot in the area, it easily gets full. So, you need to make a reservation; you can either pay with cash or credit card. The restaurant has an extensive menu. 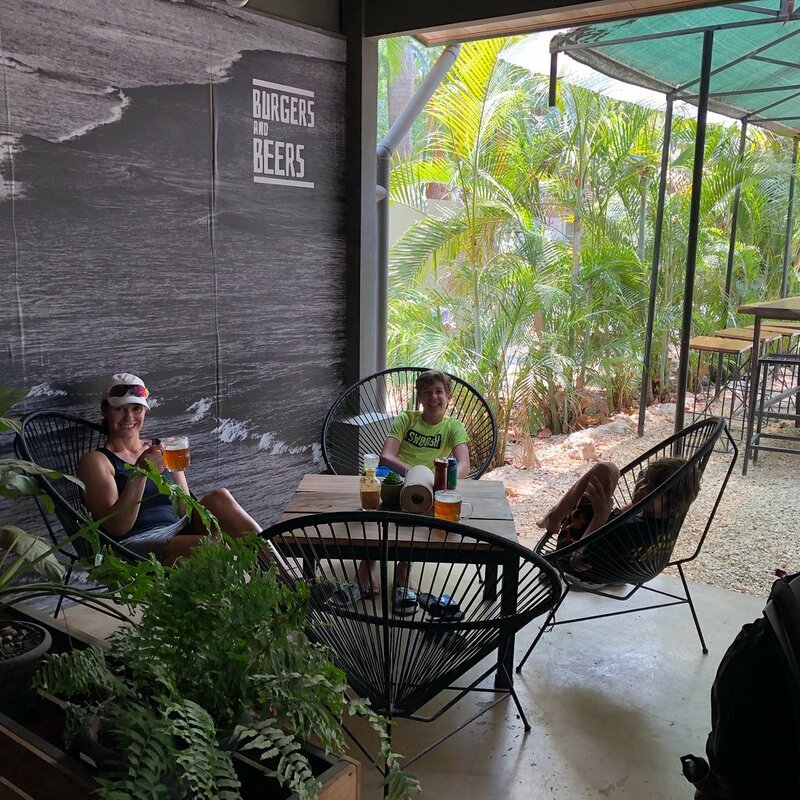 It offers amazing dishes, such as chicken curry, bacon burger, beet burger, fish tacos, omelette sandwich, mahi-mahi sandwich, burritos, hot salsa, eggs, bread, and much more. The food is beautifully presented on the plates. You can tell it is prepared with passion to provide the clients with the best flavor. The dishes are served generously for your satisfaction; you can order some more food if you will. To whet your appetite, you can start with bacon burger. It’s so appetizing. Then, you can order chicken curry as an entrée; it comes loaded with crisp veggies. This dish is out of this world. If you need some more food, you can ask for the omelette sandwich with the hot salsa. These unbeatable meals will get you fully satisfied. Then, you can end your meal with the yummy watermelon juices, margaritas, and cold beer. The restaurant provides great services for the clients. The servers are friendly and professional. They are open for questions about their menu. When clients arrive, whether they need breakfast or dinner, the staff gets it for them in a timely manner. The owner is a great connoisseur; he’s respected in the area. As clients eat his food, they can easily tell that it was prepared by a skillful cook. Given his recent extensive training, he definitely outshines every other cook in Nosara—the foods and drinks are sold at unbeatable prices. Located right next to the mini supermarket in Nosara, 10Pies is popular for its delicious Costa Rican dishes. The restaurant has food for every taste; there is food for kids and adults. So, you can take your kids with you. As it’s a popular spot, you’d better make a reservation. The menu offers tasty dishes, such as pizza, fish tacos, Hawaiian poke, avocado, buffalo, grill sandwich, caprese foccacia, casados, ceviche, and more. The foods are perfectly cooked. They all have lovely flavors, which are suitable for any taste. No matter how hungry you are, the food will get you full; it is dished up in large portions. For entrées, you can either order the caprese focaccia or pizza. They are excellent. If you are looking to eat fish, you’d try fish Casado. It’s amazing. Aside from the unbeatable foods, the restaurant has wonderful drinks; you can order smoothies or jalapeño margaritas. Also, there is a great selection of craft beer for your delight. The restaurant is owned by a kind family—the owners are very welcoming and friendly. When visitors arrive at the spot, the servers guide them to comfy seats. As they decide on the food, the servers bring it in no time. The owners always ensure the satisfaction of the clients. As a result, the staff serves the clients the best way possible. The food and drinks are well priced; they are neither pricey nor cheap. 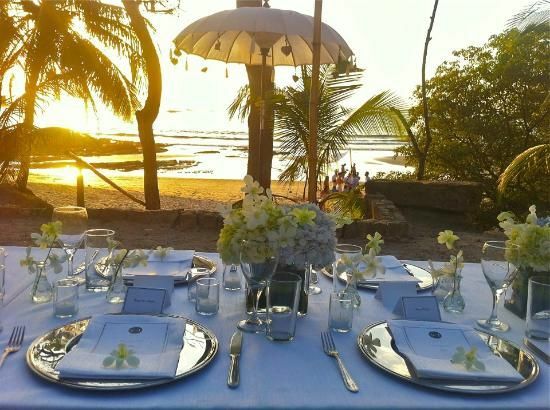 Based in Nosara, La Luna touts the most breathtaking view of the Pacific Ocean. It’s a popular restaurant for its beauty and wonderful services in the entire area. The restaurant is suitable for a family dinner as well as wedding parties. Since it’s frequented by locals and travelers alike, you need to make a reservation. So, you won’t miss the great fun at the spot. The restaurant has lots of delicious foods—the menu offers various dishes, such as pizza, red snapper fillet, veggies, hummus, rice, kabobs, steak, calamari, salad, chicken, fish, Mediterranean platter, and more. The food is served in large portions. So, you will easily get satisfied. You might as well share the portions with friends at the table. Yet, there are great desserts that you shouldn’t miss out on. For example, Pavlova is an excellent dessert—you will love the ice-cream accompanying it. Every food is cooked very well; it is very delicious. You will love pizza, which is wonderfully prepared by the restaurant’s connoisseur. Furthermore, you can have drinks as well as wines. The drinks are out of this world. You will keep ordering more and more. The staff is very professional. As customers arrive, they are warmly welcomed and guided to their seats. Then, the servers quickly take orders. With the menu being available in English, every food is well detailed. Yet, could there be something unclear, the servers kindly help the clients in their orders. Though it is often overlooked from the street, Beach Dog Cafe is beautifully decorated on the inside. So, visitors are careful enough not to be fooled by the street view. The restaurant is situated beside Nosara beach. So, it boasts an amazing ocean view that visitors fall in love with. It is suitable for family lunch, dinner and romance. So, you’d better take your family and partner with you. The restaurant has various kinds of delicious dishes to suit every taste. 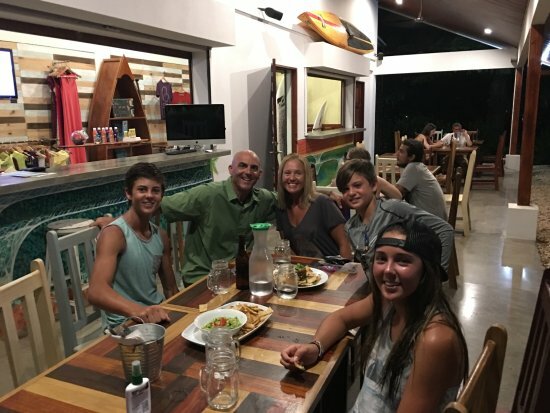 The menu comprises of healthy, delicious foods locally sourced, such as huevo rancheros, Pad Thai, pineapple fish, strawberry, rice, chicken salad, chicken tacos, almonds, margaritas and more—the food is unbeatable and unique to this spot. In addition to the outstanding food, clients are offered lots of fruit, smoothies, cocktails, and mango jalapeño mojito. The staff has amazing cuisine; they provide their clients with healthy food. So, you’ll be glad to eat with them. Plus, they are very friendly towards customers. They are always around, taking orders and delivering food in no time. And, the owner, a local, is very helpful. He always comes to ensure that the customers are happy with their order. In case they are not satisfied, the owner together with his staff quickly arranges for another entrée suitable for their palate. With music playing, the staff even dances around the tables, entertaining their clients.